A tourism host asked me, “Would you like to interview executives in our computer and electronics industry?” Uh … would it be possible to meet the person who invented the Whoopee Cushion? There’s only one guaranteed laugh in the world, and that’s when somebody sits on a Whoopee Cushion. Whoopee Cushions were always “Made in China,” at least the ones I ordered from the back of comic books. I was driven to a factory, 11 Allen 61, Lane 2, Section 8 on the outskirts of city center. This is where they made dribble glasses, itching powder, fake dog poop, fly in the ice cube and joy buzzers. That’s where I met Fu-Yuan Shih, the inventor the Whoopee Cushion. If there’s ever a Comedy Hall of Fame, he’s a first-ballot inductee. Fu-Yuan explained that the Whoopee Cushion was invented by accident when he toyed around with an inflatable ball with a flap. The ball sprung a leak, air escaped through the flap, and it sounded like the post-party at a baked bean convention. Fun fact: the first person to unknowingly sit on a Whoopee Cushion was Fu-Yuan’s business partner, Chen-Mu Chen. Huge laugh. Meeting Fu-Yuan was a thrill, but I think I topped that this week at the Houston Livestock Show and Rodeo. I had lunch with the great-granddaughter of Neil Fletcher Sr., the culinary genius who invented the corn dog. 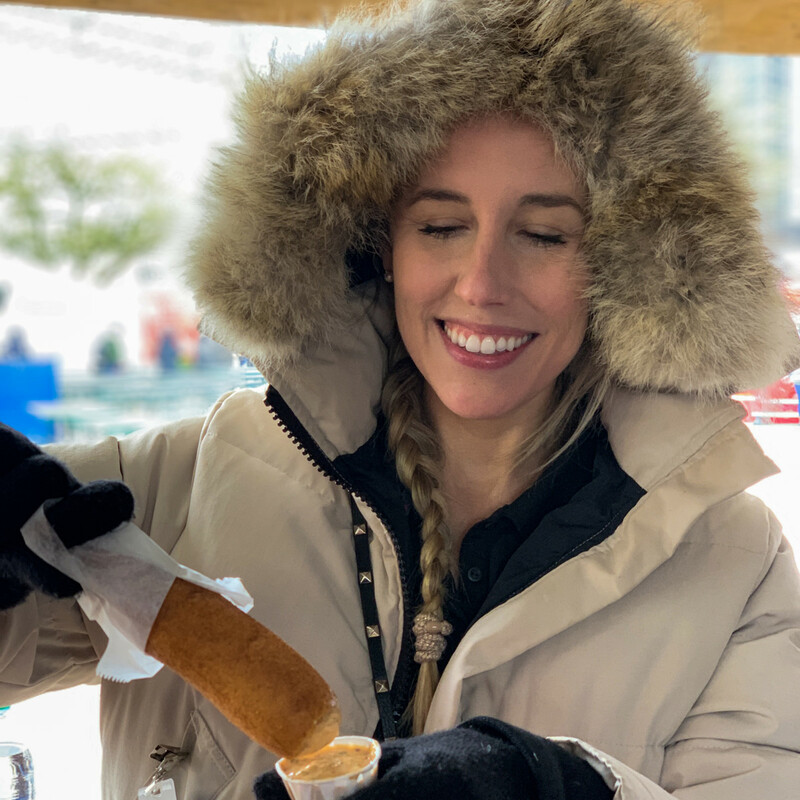 Jace Fletcher just started her own corn dog business, and she’s debuting her Fletch shack at the rodeo. Between bites of (what else?) 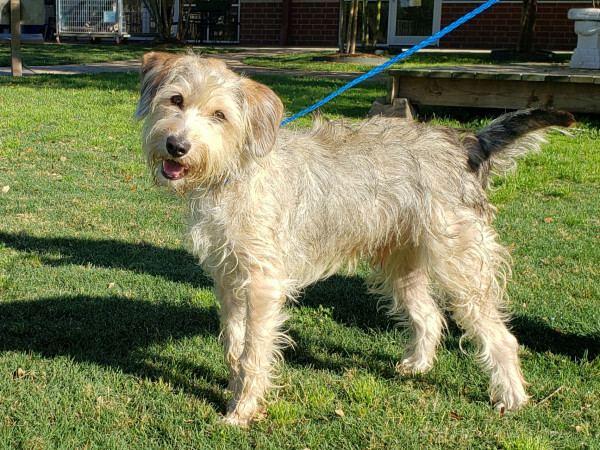 a corn dog, I squeezed in 10 Questions for Fletcher. I had the “The Beef,” with organic uncured beef. Ace photographer Brandon Strange vaporized “The Classic,” with smoked pork and beef. Fletcher vanquished “The Spice,” with sausage infused with jalapeño and cheddar. Organic? Uncured? Infused? Times have changed in the corn dog business. But “not too much, they’re still delicious corn dogs,” Fletcher assured me. Ken Hoffman: Let’s shimmy up your family tree. How are you related to the creator of the original corn dog? Jace Fletcher: I am the fourth generation. “Papa” Neil Fletcher, Sr., the inventor, was my great-grandfather. His son Neil (Skip) Fletcher, Jr. was my grandfather. His son Craig Fletcher was my father. I am an only child. KH: Tell me about how your great-grandfather thought to shove a stick through a hot dog, dip it in cornmeal batter and deep-fry it. JF: The story goes something like this. Papa Neil and his brother Carl Fletcher made their way to Texas in the '20s with their vaudeville show called the Madcap Players. The tent show was directed by Papa Neil and performed by his wife, Grandma Minnie, among a few other local actors. It was when they set up at the State Fair of Texas to perform ‘The Drunkard’ that Papa Neil and Carl were challenged by a friend to come up with fast finger food to sell to fair-goers. They headed straight home to the kitchen to do some brainstorming. They used supplies that were readily available, like wieners and cornbread batter. They introduced it at the State Fair of Texas in 1942. Papa Neil and Carl made only $8,000 that year. They couldn't give their corn dogs away. 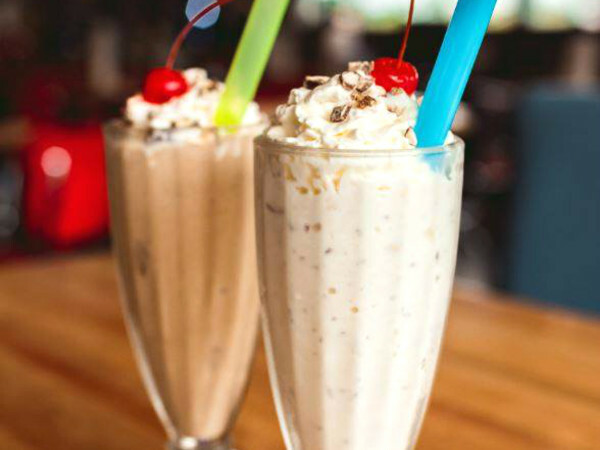 Eventually they perfected the recipe and now it's a fan favorite. KH: You can get a corn dog at a hundred different places at the rodeo and carnival. Why should someone buy yours? KH: The carnival grounds are like a corn field maze. I got lost between a turkey leg booth and a cotton candy pop-up. How do visitors find your stand? JF: The name of our booth is Fletch. We are booth number J303 just outside the main door of NRG Center in the carnival area. We’re facing the stage and the giant ice cream cone, next door to a stand called Fried What? 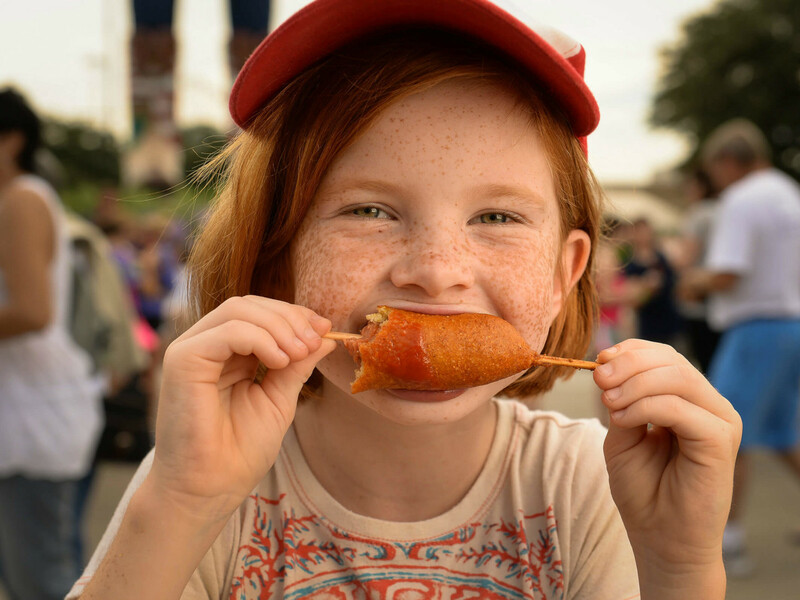 KH: How is your corn dog today different from the original created by your great-grandfather? JF: All cornmeal batter recipes are fairly basic and similar in nature. 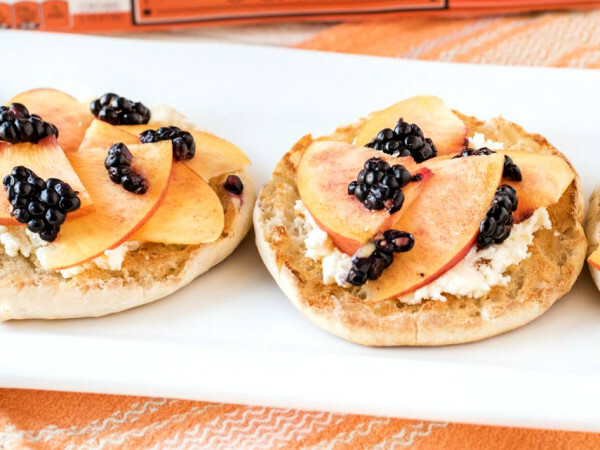 Our Fletch recipe uses unbleached and unenriched flour and minimizes preservatives. 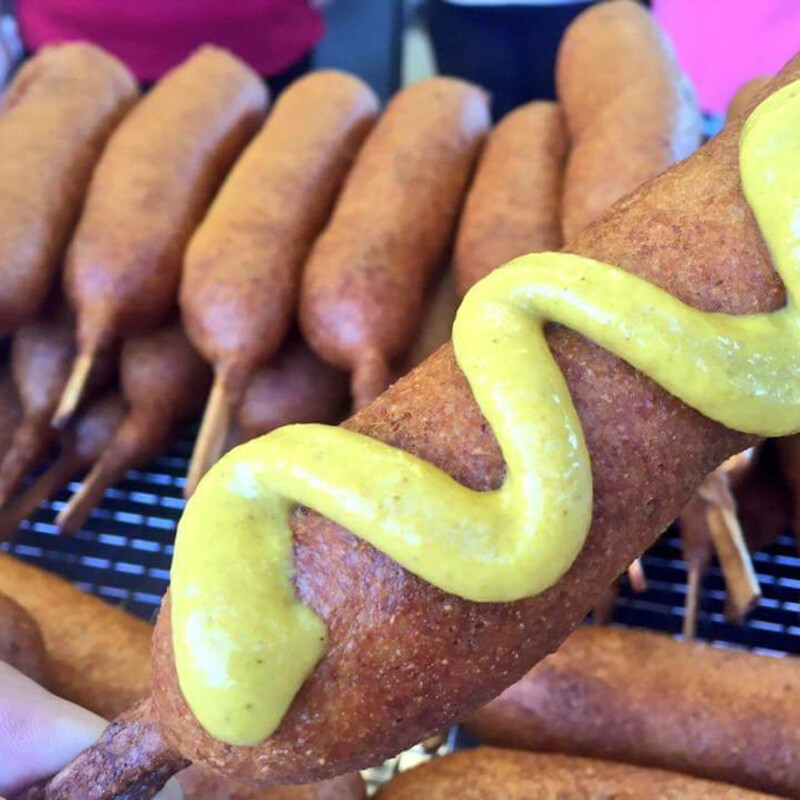 We sell so many corn dogs that we don't require a long shelf life. My great-grandfather sold all-beef franks. 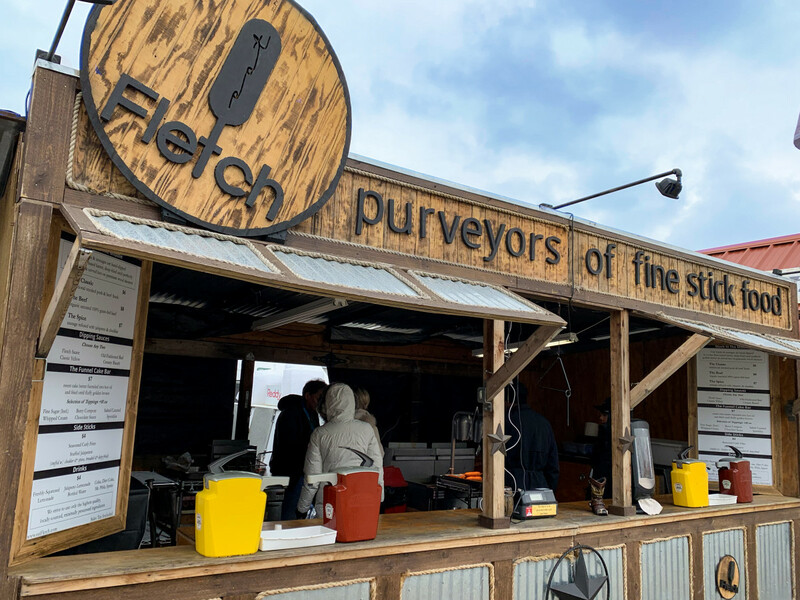 Fletch goes further than that, offering organic, all-beef, grass-fed franks. KH: You seem obsessed with quality. Tell me about the hot dogs you use. JF: In addition to a classic, smoked pork and beef-blended frank, we offer a 100-percent organic, grass-fed, uncured, nitrate and nitrite-free beef frank. There are no preservatives, no hormones, just good ol' beef. 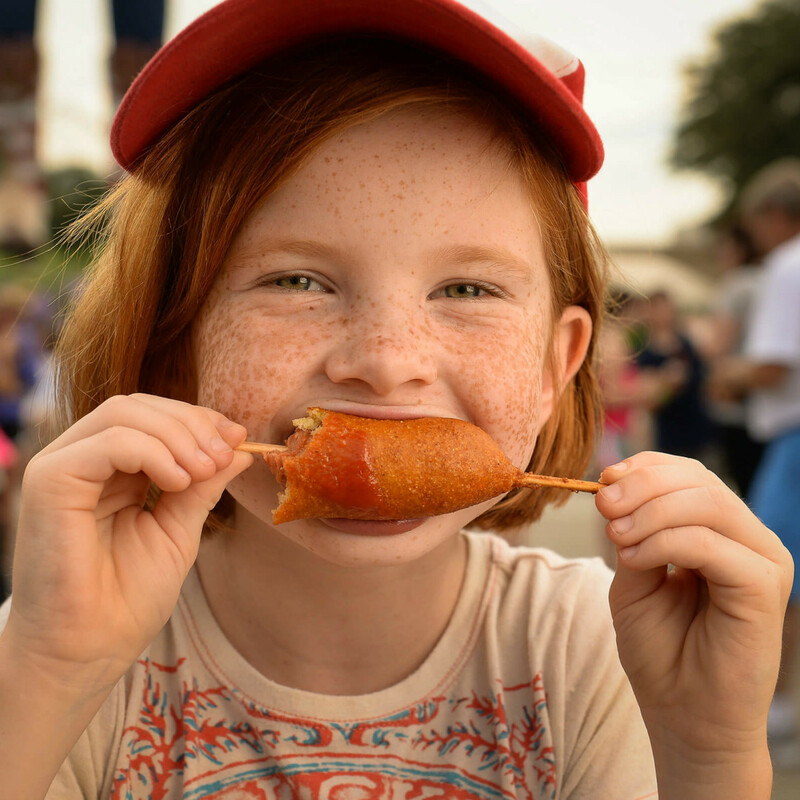 KH: Are people who eat a corn dog concerned with quality options? JF: Yes! Have you seen the price of Kraft-Heinz stock this week? Everyone is obsessed with quality, not just me. It's becoming mainstream. Just because our food is deep-fried does not mean it is unhealthy and should be off limits. Without getting too scientific, we aim to keep ingredients clean, simple and delicious. KH: You had a thriving career in New York finance. 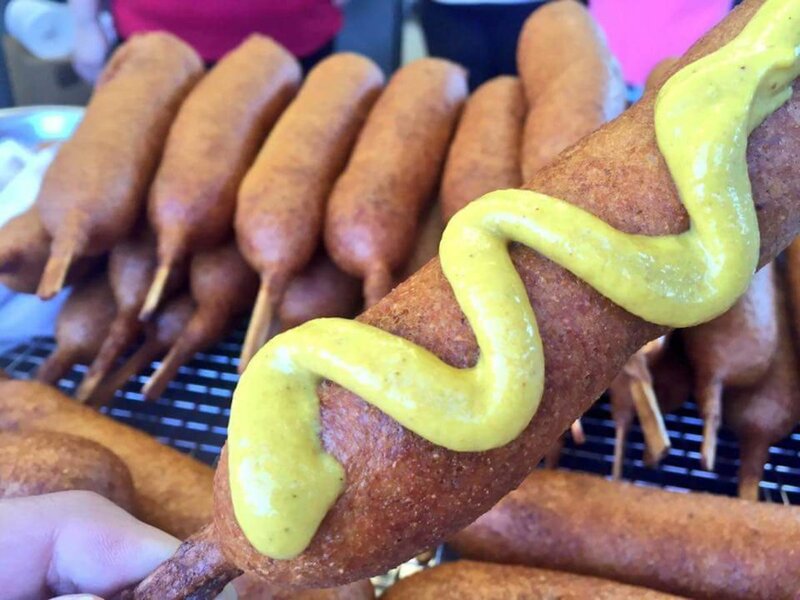 What pulled you back into the corn dog business? JF: I put my finance career on hold when my husband and I had our twin boys a few years ago. I quickly realized I needed to come up with a solution that provided some work-life balance. We moved back to Dallas when the kids turned one. A few months after our return, Papa Skip passed away. I was delivering his eulogy at the funeral when I felt this overwhelming sense of responsibility rush over me. At that moment, I knew Fletch would be my future. KH: Tell me about your sauces. You're debuting them here. Isn’t everybody happy with mustard? JF: We respect mustard and ketchup loyalists, but we are living in a dipping sauce renaissance, and we felt it was time to think outside of the condiment box. We are debuting the Fletch sauce here! It is similar to a French remoulade. We think our creamy buttermilk ranch pairs perfectly with our stuffed jalapeño. KH: How’s business been for your new adventure in corn dogs? 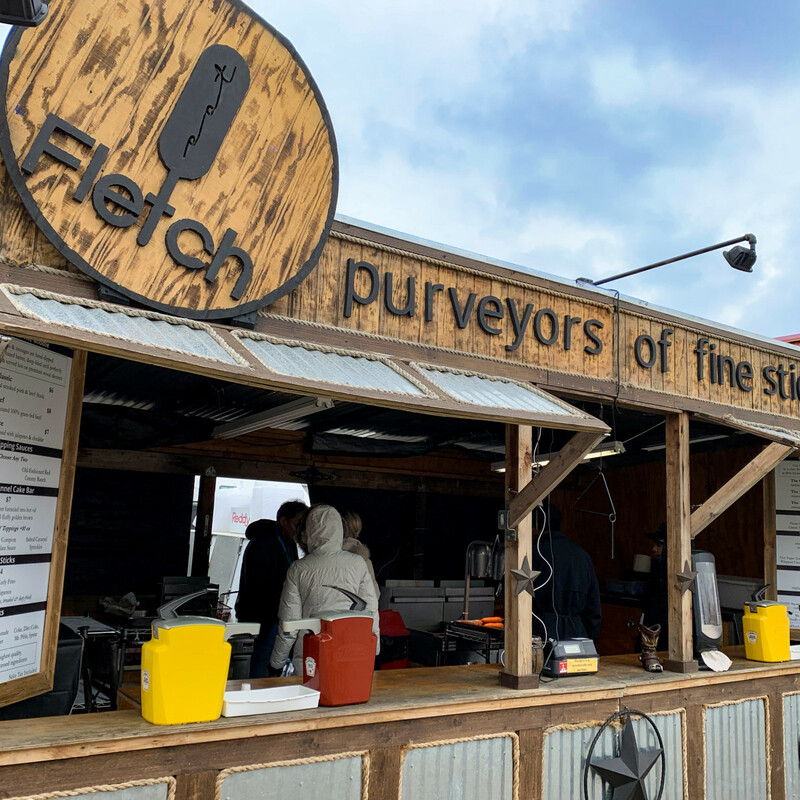 JF: In addition to the Houston Livestock Show and Rodeo, Fletch, purveyors of fine stick food, has been contracted for notable events like Dallas Cowboys games, University of Texas football games, and NASCAR races. 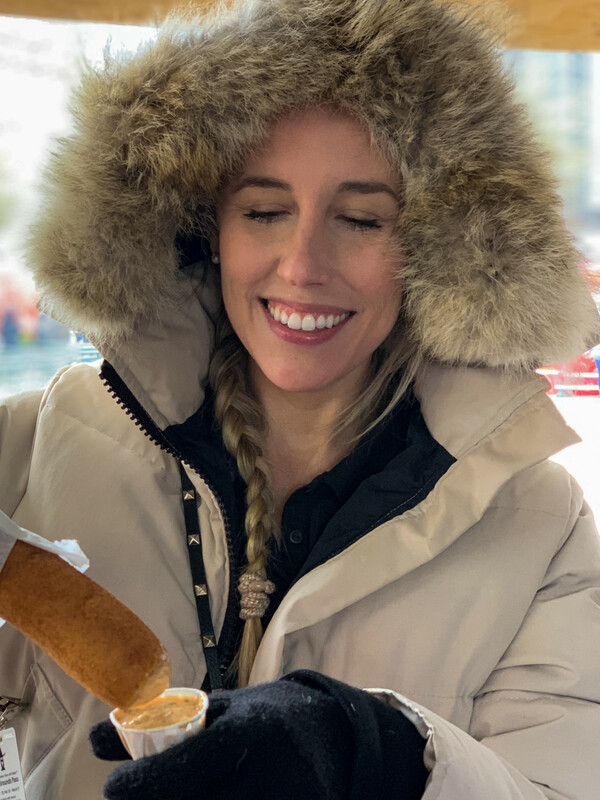 My mom is my business partner, and she eats, sleeps and breathes corn dogs. She has been an integral part of the family's operations for nearly 35 years. We are best friends and have always contemplated starting a company together. I am the visionary of Fletch, and she is the backbone.